The term extreme energy was apparently coined by Michael T. Klare, Professor of Peace and World-Security Studies at Hampshire College, who wrote in an article in 2009 that ‘Unless we drastically reduce our reliance on fossil fuels we are heading for an “Era of Xtreme Energy”. Clinging on to conventional energy supplies is likely to devastate the environment, accelerate climate change, and create global conflict’. The primary signature of an extreme energy process is that it is a more intense (and expensive) method of energy extraction that requires much more effort and energy to operate than “conventional” methods. While some of these methods are new, others are more intense versions of existing extraction methods or old methods that have never been widely used until now due to their expense. The pressure driving this wave of extreme energy methods is the depletion of natural resources, particularly fossil fuels, by the demands of the present economic system. These physical constraints have been driving up the price of resources and increasing competition for them in recent years. 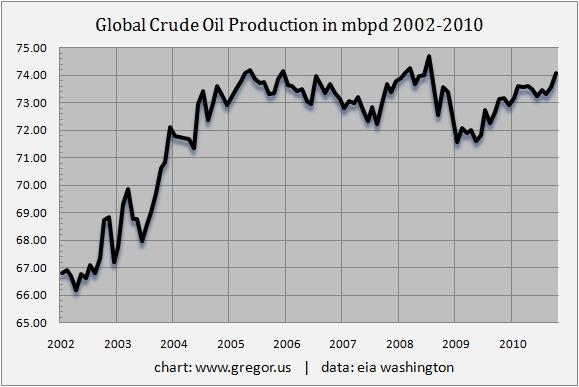 In particular since around 2005 the global production of crude oil has stopped significantly increasing and is now on a bumpy plateau. This has resulted a huge jump in the price of oil, with prices rising from $20-30 per barrel in the early parts of the last decade to over $140 per barrel in 2008, just before the economic crisis, before dropping sharply and then rebounding back to over $100 per barrel in the last year or so. These unprecedented high oil prices (outside of a major geopolitical crisis) have resulted in a desperate scramble to increase fossil fuel extraction. However since all the easy to reach sources of fossil fuels are already being exploited new sources by definition must be harder to extract. Perhaps the most well known extreme energy process is the exploitation of the Athabasca Tar Sands in Alberta, Canada. Tar Sands consists of a mixture of sand, clay and bitumen underlying around 141,000 square kilometres of boreal forest in Alberta. While it is possible to obtain oil from Tar Sands it takes considerable effort. After mining the bitumen must be separated from the sand and clay and then upgraded to crude oil. Attempts to exploit Tar Sands have been been ongoing for many decades but with an extraction cost in excess of over $27 per barrel it has had to wait for the surge in oil prices of the last decade for the process to begin on a large scale. It takes two tons of tar sands, 1200 cubic feet of natural gas and up to 4 barrels of water to produce one barrel of synthetic crude oil. The process produces three to five times as much greenhouse gas emissions as conventional oil extraction in addition to the local deforestation and poisoning of the environment. 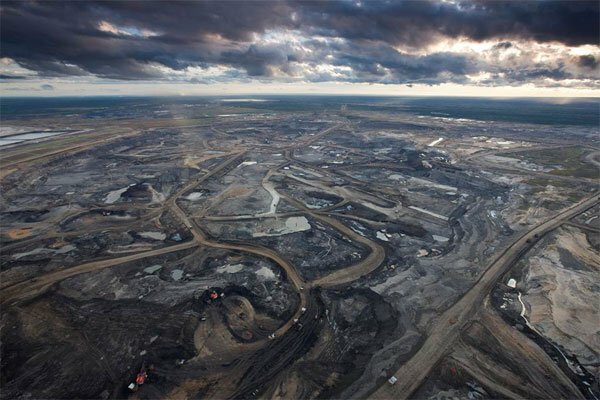 Unsurprisingly the Athabasca Tar Sands have been labelled “the Most Destructive Project on Earth”. Another extreme energy process that has hit the headlines in recent years is deep water drilling. Large scale offshore oil production has been under way for a number of decades, for instance in the North Sea and the Gulf of Mexico. While this was an intensification over previous land-based drilling it was only taking place in shallow water, usually less than 500 ft deep. This has changed dramatically in recent years, with the maximum drilling depth increasing from 1 to 3 km in the last decade. There are now over 600 deepwater wells in the Gulf of Mexico which produce over 80% of its oil and $145bn was spent worldwide on deepwater drilling in 2010. Of course drilling at these depths is much more technically difficult, energy intensive and expensive than in shallower waters and if anything goes wrong it is vastly more difficult to put it right when it is far too deep for divers to reach. 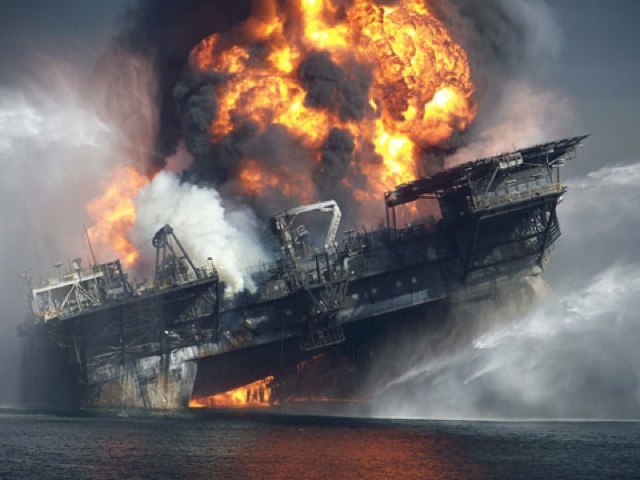 This was clearly demonstrated by the Deepwater Horizon disaster in 2010 when a rig drilling in around 5000 ft of water in the Gulf of Mexico was destroyed by an explosion and subsequent fire. It took 84 days to cap the well on the sea floor during which time it spilled more than 4.9 million barrels of oil. A somewhat less well known example of extreme energy is Mountain Top Removal coal mining in the Appalachian Mountains of the eastern United States, though most modern open cast coal mining should probably be counted in the extreme energy category. However the open cast operations in Appalachia stand out in terms of both their impact on local communities and the environment. The process involves demolishing mountain tops with high explosives and dragline excavators, and dumping the rock into the valleys inbetween, in order to extract coal. Hundreds of feet of rock are removed to reach coal seams whose thickness can be measured in inches (see this video of the process). The industry uses the equivalent of an Hiroshima bomb worth of explosives every week and has already destroyed 500 mountains, 1 million acres of forests, and buried 2,000 miles of streams. The process pollutes waterways and allows toxic heavy metals such as cadmium, selenium, and arsenic to leach into local water supplies. Severe air pollution is also a feature of areas close to Mountain Top Removal operations. Cancer rates are twice as high for people who live near Mountain Top Removal sites. The process also increases the risk of flooding. One common property of the previously mentioned extreme energy processes is that they take place in low or even zero population density regions. While native communities in Alberta have been seriously affected by Tar Sands extraction, they are not large in number and have negligible political influence. The political influence of the sea life in the Gulf of Mexico is not much higher. There is more resistance to Mountain Top Removal but the Appalachian mountain regions of West Virgina, Kentucky and Tennessee are some of the least populated areas of these states. However due to the pressure of rising energy prices and exhaustion of resources in less populated areas extreme energy processes are progressively pushing into more populated areas. A prime example of this push is that of fracking for Shale Gas. While this began in low population density areas in the western United States, like Texas, a decade ago, as production has plateaued in the Barnett Shale (and other western shale plays) and energy prices have risen, pressure to exploit the larger Marcellus Shale in the eastern United States has grown. However the population density in Pennsylvania (source of the documentary Gasland) is 3 times higher than in Texas, while states where there is some sort of ban/moritorium at present have even higher population densities (New York is 4 times higher and New Jersey 11 times higher). There is a definite trend of the resistance to extreme energy growing as greater numbers of people begin to see it’s effects first hand. The push for Shale Gas extraction in even higher population density Europe is also meeting stiff resistance. Despite this, the pressure to exploit remaining sources of fossil fuels in evermore extreme ways is growing. In addition to Shale Gas, exploitation of Coal Bed Methane (CBM) is pushing out of the western United States and Australia into Europe and Asia. The even more extreme process of Underground Coal Gasification (UCG), previously confined to some experimentation in out-of-the-way places in the US, Australia and the Soviet Union, is now being proposed right next to British cities, such as Edinburgh, Newcastle, Liverpool and Swansea. Wherever you live some form of extreme energy process is on its way, if it isn’t there already. What needs to be understood though is that extreme energy methods are not solutions to the exhaustion of energy resources. They are simply the desperate last gasps of a system addicted to fossil fuels. Coal Bed Methane production in the US has already peaked, as has coal production from the Appalachian Mountains. With most large shale plays in the US (with the exception of the Marcellus Shale in the east) already peaked or peaking, US shale gas production as a whole seems unlikely to keep increasing for much longer. Each new more extreme (and costly) extraction process also requires more energy to run, so the ‘net energy’ or energy return on investment (EROI) is progressively declining. The system is having to run harder and harder just to stand still, as these new extreme energy processes barely offset declines in conventional fossil fuels. The question that has to be asked is, given that extreme energy is a short term fix (in the drug addict’s sense of the word) which is destroying the ecosystems we rely on for our survival, will people stand by and let their futures be sold just to delay changing the system for a few more years? East Sussex: UK first Frack Free Zone?